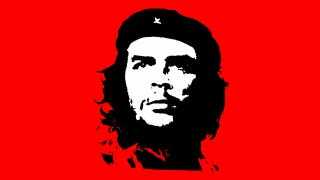 Che Guevara's image has been hijacked to hock everything from t-shirts to albums in the 47 years since his execution. Now his son is getting in on the action with a four-figure Harley tour of Cuba, where the average monthly salary is 460 pesos – or around $20. Not that I can really blame the guy. Guevara's youngest son, Ernesto Guevara, is a lawyer by trade, and if there's anyone that needs a diversion, it's probably a lawyer in Cuba. And he's loved bikes for years, with his bio on the tour's site saying, "He inherited from his father the passion for motorcycles which enable him to travel his country and to know it as few." The tours run either 6 or 9 days, and include stops at the Comandancia del Che, a Che museum at the Havana harbor where the revolutionary had his headquarters, along with Guevara's mausoleum, the site of the pivotal Battle of Santa Clara in 1958. Obviously, Guevara's son is tapping into his father's iconic, 5,000-mile rides through South America in 1950, where Che – a middle-class kid from Argentina – and his friend got a first-hand taste of the poverty plaguing workers in Chile, Ecuador, and Peru. That ride inspired the 2004 film the Motorcycle Diaries, which, if you haven't seen it, is great watch. The tour company borrows Guevara's nickname for his bike – La Ponderosa – but any visions of roaring through Cuba on the back of a 1939 Norton 500 are for naught. Instead, they're using Harley-Davidson Touring Street Glides and Dyna Wide Glides. Prices start at $3,000 and max out at $5,800, but that doesn't include flights, visas, gasoline, or the required life insurance. It's also BYOB.